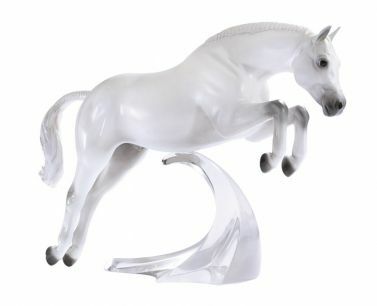 I have found that owning and enjoying the model horses dose not have to break the budget. You do not have to spend a fortune. 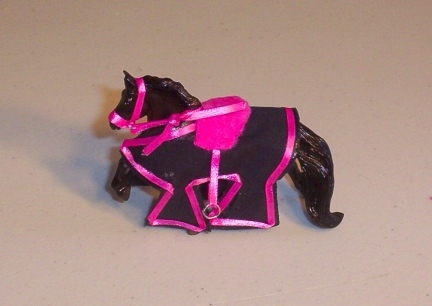 And you can make your own tack and such for little to no money if you know who to do it. Keep your eyes open, shop clearance racks and garage sales. 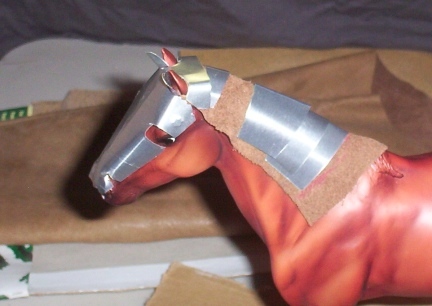 If you have children that enjoy playing with the horses, they will love the simple, inexpensive crafts below. 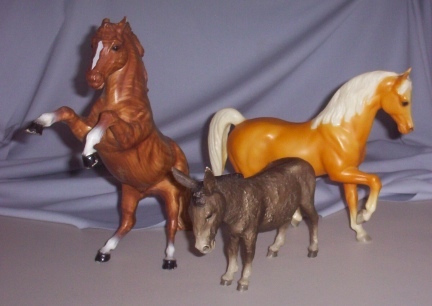 I own Breyer's Horses in four different sizes right now. Traditional, Classic, Stable Mates and Mini Whinnies. There are several inexpensive and easy projects on this page that could be used for younger 4H students as well as Scouts and other Children and or Adult groups for a evening of fun and accomplishment. 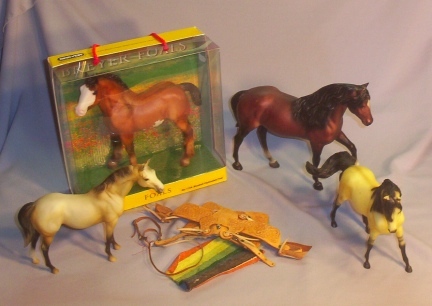 I had wanted to collect a few of the Breyer's Horses for years. When Deron and I hooked up I always wanted to buy the dated Christmas Breyer Horse Ornaments, one for each year we were/are together. Well, it never happened. Our money always had another place to go long before thinking of this sort of thing. 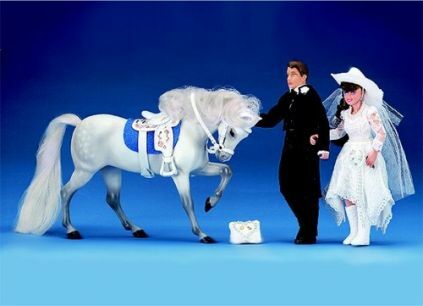 However, just before our wedding the Breyer's Horse Wedding Set had just hit the market. I started looking for a set. There were none to be found. I contacted a dealer and she told me they had not really come in yet and they did not expect them to mid June. Well, we were getting married June 16th. She put me on a list and sure enough, the set arrive about three days before the wedding. She had moved my name up the list to make sure I would have it! How wonderful is that! If I would have written that shops name down, or her's, I would give it here, shame on me, I did not. We did not have a bride and groom on our wedding cake, we had a sled dog team complete with little bitty tin cans pulled behind with a "Just Married" sign. 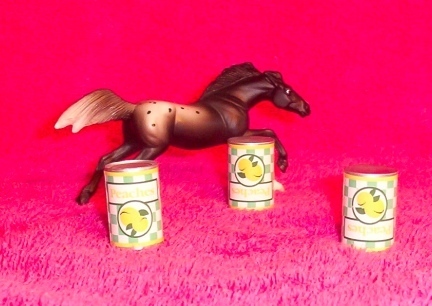 However the Breyer's Horse Wedding Set was the Center Piece on the table. 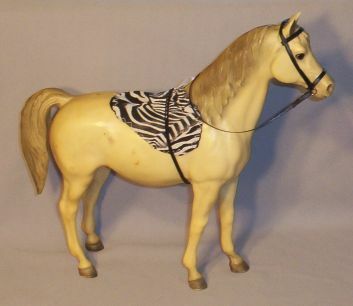 A few weeks ago I somehow stumbled unto Breyer's Horse Saddles on ebay...I might have been looking at horse tack for my live horses <grin> I remember thinking that I would like to have one Breyer's Horse, just for fun. Well, I had mentioned it to my husband. 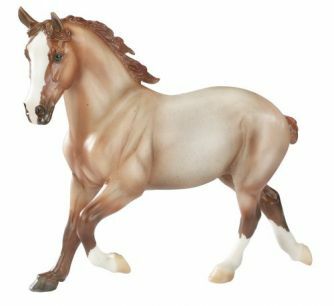 A few days later we happened to be in a Farm Store and son of a gun, they had some Traditional sized Breyer Horses marked down, then marked another 50% off that price! I bought the first two you see pictured. 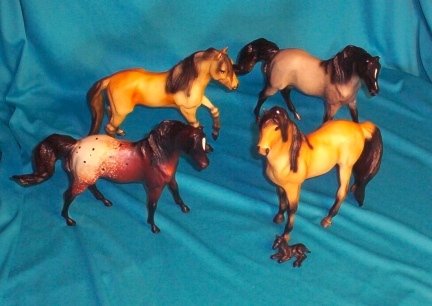 When we went back to town a week later imagine how surprised I was that they still had some of the Breyer Horses on sale... yes, we bought two more. Well, each time we went to town, I got a couple more til they were gone. And my collection started and grew. 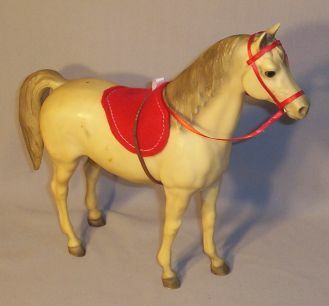 I needed a Traditional size Breyer Horse so that I could use it for a "sewing form". I wanted one that I might get a pin scratch or a bit of glue on and not matter. So we bought this one on ebay. 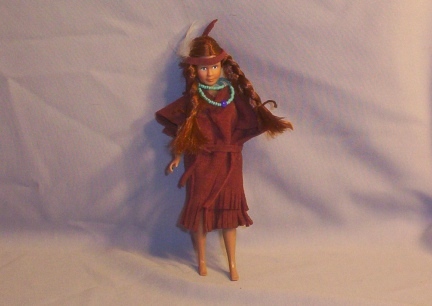 I make and have made my own patterns and items for dolls, small animals, dogs, horse and llamas and goats and.... and even myself for as long as I can remember. 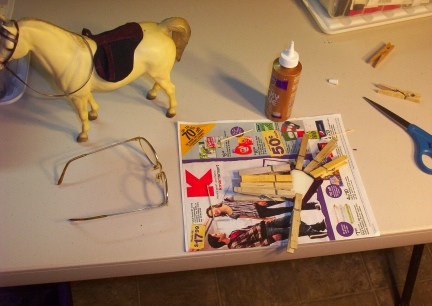 So making items for the Breyer Horses will be a lot of fun for me. 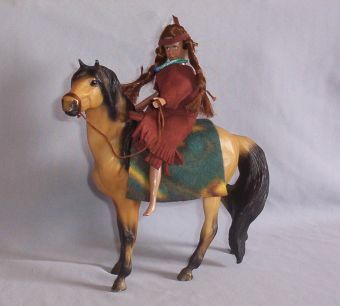 I might not have the talent that many of the Breyer Horse collector and crafters do, my items may not be as detailed, but I can still have a great time and so can you. See below for ideas and patterns. I have this wonderful husband that once in a while surprises me with something that I do not expect. 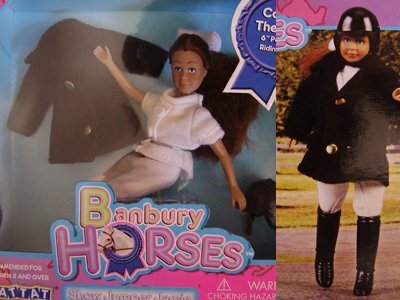 When my ebay horse arrived (the first time I bought one there) and I opened the box, packaged well and wrapped separate from the mare was the matching foal. How KOOOOL is that?! Deron had bid on the extra horse from the same seller and won that auction too. THANKS DERON! Just after we had won the above bid I had sent a link to a set of four Classic Sized Mustangs to Deron. I did not know, I had no idea, he had bid on them and won the auction. He handed me a box from the mailman about a week later and low and behold! I can not tell you how surprised and thrilled I was/am. Further, the seller also added the little Stable Mate laying down foal in the package! Deron knew it was coming, it was a big surprise for me. We had the winning bids for the Palomino and Donkey you see in this photo. The seller, bless their hearts, sent an extra to us at no charge! 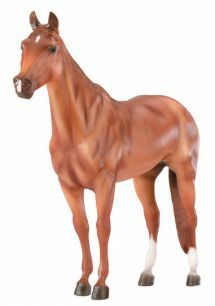 It is a Rearing wood grain horse named King, I love it! We have bought from them before and will again. I will give their names when we are done bidding on a couple of horses I would really like to have the winning bid on. <grin> A BIG THANK YOU GOES OUT THE THEM! 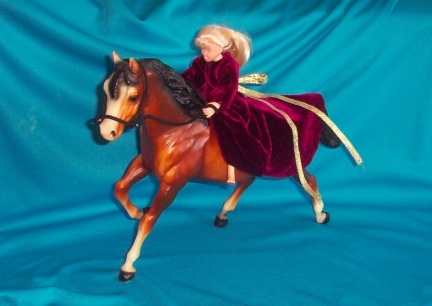 There are events all over that host Breyer Horse Events. Some of the events are full blown Breyer Horse Shows, and more. I was surprised and shocked to find a small event right here (100 miles from us) in NW SD. The main event was a Quarter Horse Show. One of the tack shops set up a Breyer's Event at their vedor's booth. September 25th is my husband's birthday, but bless his heart, the event was on that day and off we drove so that I could see what this event had, paint Stablemate sized horses and buy the Classic Sized Horse that you can not buy other then at the events (or that is how it is suppose to be). What a good time we had. I bought the horse, a sweatshirt that was marked at $10! I needed sweatshirts anyway! 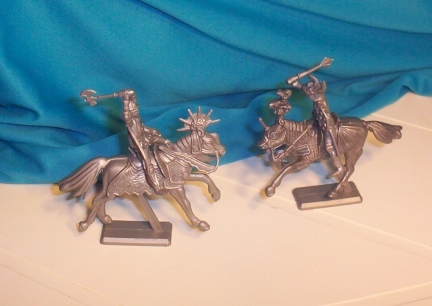 And rather then painting there, we bought a few unpainted SMs and brought them home. At a Flea Market I found an itty bitty doll's Jean Jacket. The lady gave it to me FREE and sure enough it fit one of the Classic Sized Dolls I plan to use for show and or scene settings. We did also celebrate Deron's birthday with a nice meal in Rapid City. Be sure to check out the items we have for sale in our on line store, here at this site. Some of the items are Factory and others were created by me and can be used for play. Thanks! These items may not be as detailed or "authentic" looking as the some crafters are creating that work with tiny items to make a very detailed item. But these items are fun and can be a cute addition to your collection as well as wonderful "play things". Just have fun and you might be surprised how your craft will improve as you enjoy yourself making these items. 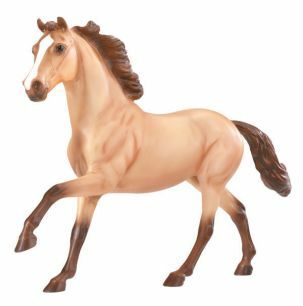 Remember that not all Breyer's Horses are the same size, even with in the same Breyer sizes, such as Traditional, Classic, Stable Mate, Little Bits Paddock Pals, so after you make your patterns check the size of the pattern on the horse you will be using this item for. You may need to adjust it just a bit. 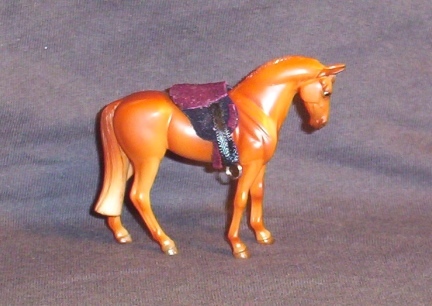 I found out that my Stalight, from the Traditional size Saddle Club series, is a different size then my Prancer from the same line. Also remember that tails up, standing position and or head set will all make a difference in fitting of tack and other items too. Also check your sewing supplies, you might be pleasantly surprised at something that will work perfect for your creations for your model horses. 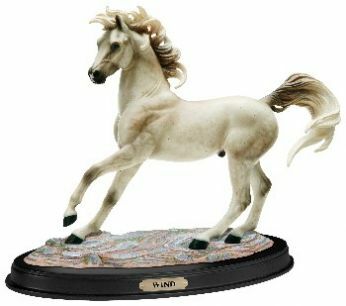 Check the miniature dept when in the craft stores for items such as brushed, barrels and other items that will look perfect in the scene you might be setting up with your horses. As I have said before I have made my own patterns for many items for as long as I can remember. I like to use a brown paper bag or the inside liner of a feed bag. 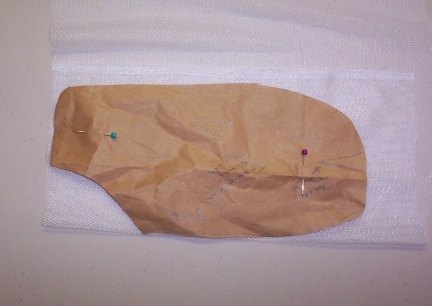 Not only is it a good thickness for making the pattern you can actually pin it on to what or who you are making it for. 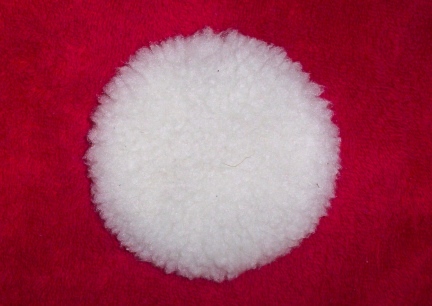 It is a good tough thickness without being to thick for use. It will stand up for many, many uses. 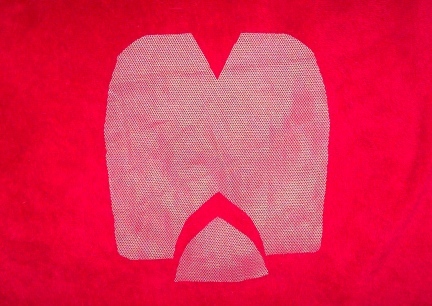 When making your pattern, start larger then you will need and cut and tweak the pattern down to size. 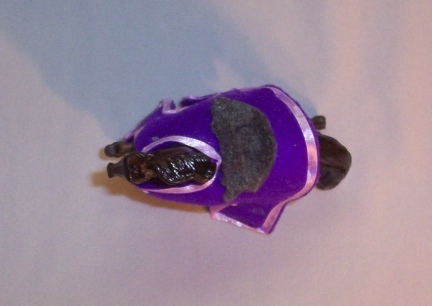 I make and sell outfits and costumes for small animals such as Guinea Pigs, Pet Rats and even Mice. 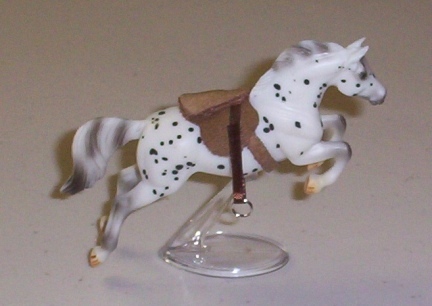 I will tell you for sure, making these Breyer Horse patterns is far easier then one for the squirmy "littles". Take your time when making the pattern. Use your imagination of how you want the item to look when finished. Mark the pattern when you have it the way you want it. 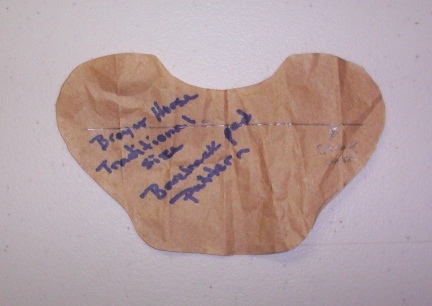 Write on it not only what the pattern is for, but show on the pattern where darts may be, where to make it larger for a different sized horse, and you might even put the date you created the pattern right on it too. If you make a pattern off of your pattern, say for a friend to use or so that you have a back up. Always use the original pattern for this. 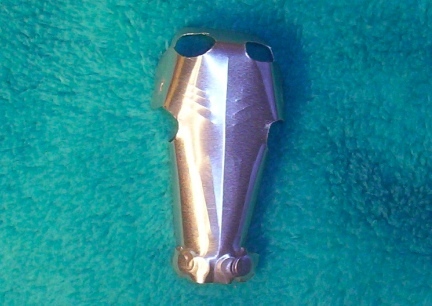 Otherwise, somehow, it can get distorted, kind of like when you keep making keys from copies. 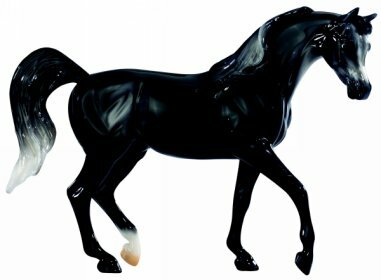 Use your computer and or printers to print out the size patterns from this site you will need for your own horses. If it does not come out just right...tweak it to suit your needs. I do ask that you do not use my patterns for making items that you sell. I have been kind enough to share these pattern, please be kind enough to honor my request. Last note: Have fun. Try new things....it is only paper! My husband Deron took the time to make a chart of the different sizes needed to look correct with your Breyer Horse Scenes. When shopping for some items you won't always find the exact sizes you need, but you can come pretty close. When creating your own items these figures will be very helpful. Remember, all our photos, patterns and charts are copyrited. 12" 1.33" 1" 0.5" 0.38"
24" 2.67" 2" 1" 0.75"
36" 4" 3 1.5" 1.13"
48" 5.33" 4" 2" 1.5"
60" 6.67" 5" 2.5" 1.88"
72" 8" 6" 3" 2.25"
If you can not make one of these, don't attempt any further model horse crafts! 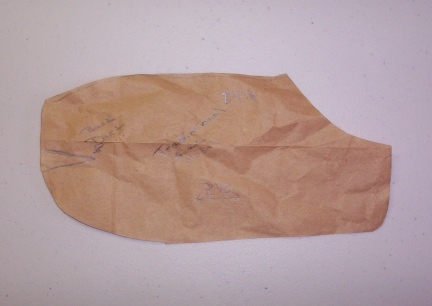 This is so easy that most four year old children could craft one. The hard part is that if you use a jump ring (think realllllly tiny split ring key chain) for your lead rope ring, getting it on the end of the lobster claw clap....now that, well? many people can not do. I handed mine to me ever patient husband. You can however use a small wire ring, make a wire ring or even take a link of a fat linked human neck chain and use it for the Lead Rope Ring. Make sure that the ring, "rope" and claps you choose to use look correct for the size model horse you will be using them for. To make this lead rope all you do is glue the end of a strap of leather or piece of ribbon that you have put through the ring. Cut your "rope" to the length you like and there you go. 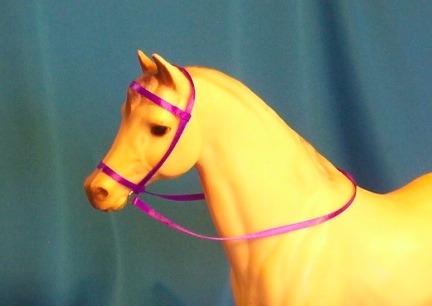 Your lead rope is ready for your horse or your horse scene. 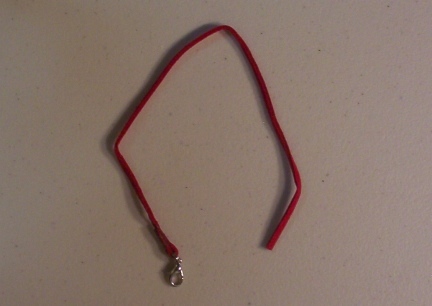 Many people use a short length of chain between the hook and the rope. I personally do not like to use this type of Lead Ropes on my live horses, so I made the type I use. If you put the chain on...that too is very easy. 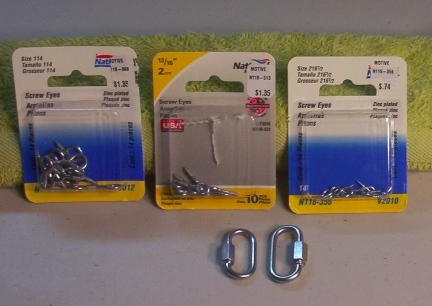 Just loop the "rope" through the last link in your chain and the other end of the chain in the clasp. 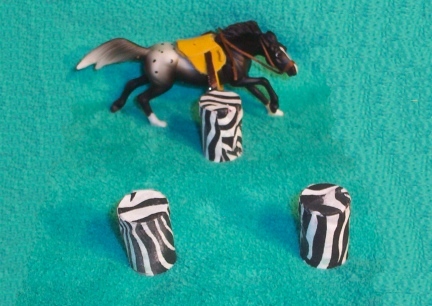 I made this pattern for my own Traditional sized Breyer Horses. 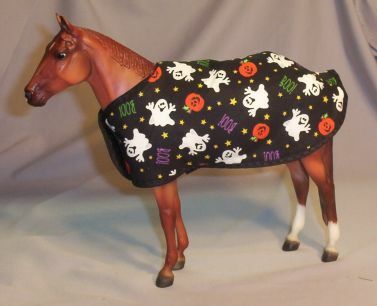 I should be purchasing Stable Mates sized horses soon and will know the size to advise you copy this pattern out to. This pattern is approx 8 1/2" x 4 1/8" for the Traditional size. Use your computer and or printer/copy machine to get the size you need. It fits the model here a bit funny, but fits better on the longer back, tail relaxed/down models. Have fun with this craft. You can use any type bead you like, but to make it look realist, go small. Use the E sized beads for accents. You can also use small charms and bells for more flare. 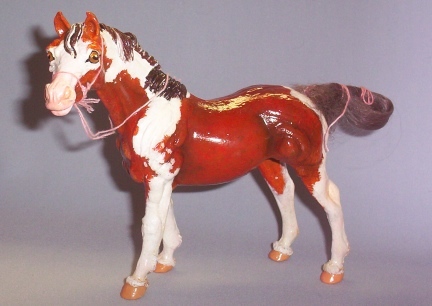 If you use sewing thread for stringing, the beads will fall more nicely on the model horses neck then if you were to use fishing wire or fat thread. 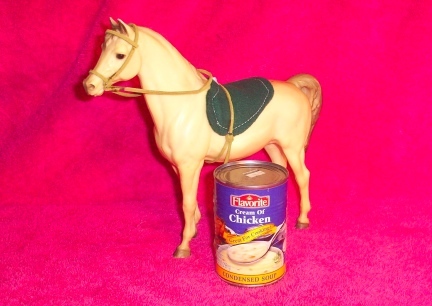 For the Traditional sized horses canned soup (hint from TN) will work well. I would recommend eating the soup, washing the cans, covering the sharp edges, tuning the can with the solid side up, and decorating them. You may then store and or carry items inside the cans. For the classics you can make your own barrels with toilet paper rolls, decorated of course. The Stable Mate size horses you could use toilet paper rolls cut to size. I found these cute little "canned goods" in the miniature dept. of a craft store. 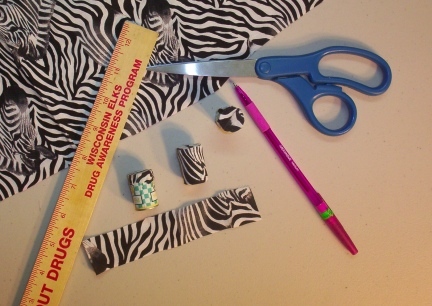 I am covering them with small sized zebra print fabric to look like the covers for sale in many of the Horse Tack Catalogs you might receive in the mail. 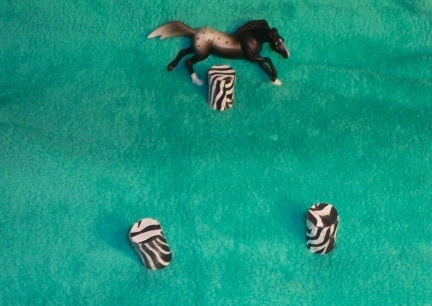 The ones that I added the Zebra Print to are about perfect size for the StableMate Breyer's Horses. Now I need to figure something out to use for the timing devise. 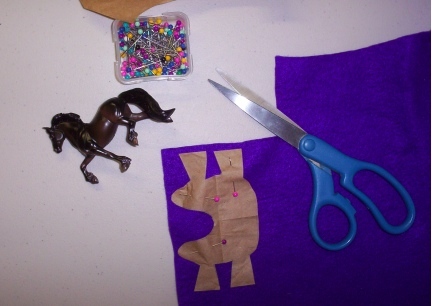 You can see from the photos we are working on patterns for a simple and easy to make English Saddle for the model horses. (give us a bit of time to work on this pattern and craft) The second photo has the padded area of the saddle clothes pinned down with glue. 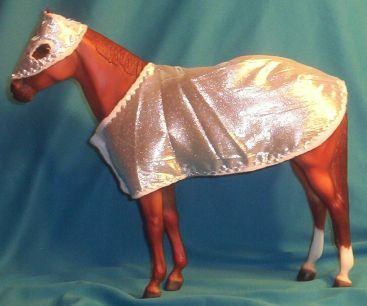 For many of the costumes made for horses they start with a Horse Coat or Horse Sheet, the same is true with the Breyer's sized horses. Start with a and Idea and make your Horse Coat to the thyme. You can make these as fancy as you like or just use a Holiday Print for a cute display. Just remember to use a very small print or it won't look as nice. This is a very simple craft. It takes a small amount of leather lacing or ribbon, scissors, a bit of glue, two toothpicks and two jump rings. I have a live horse named Tonna, her tack color is green, mostly Lime Green. I color code my horse because I do not like them to share brushes and or tack. Even thought Tonna, my live horse, is a bay, this bridle is made in her honor. 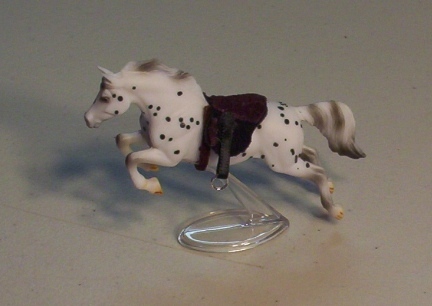 I made this one using the model horse for my pattern. 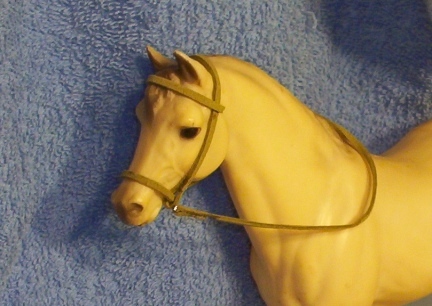 You can look at my photo here and see where to measure, cut and paste to make this bridle. 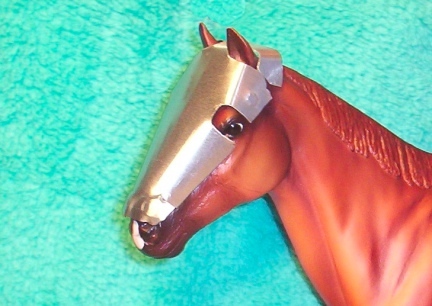 I did not glue on the horses face, just measured, and I let the bridle dry overnight before returning to the horse's head. Be sure to make your piece long enough to go over the head behind the ears, add rings to either side under the nose band, then be able to be glued on the far side of the noseband. 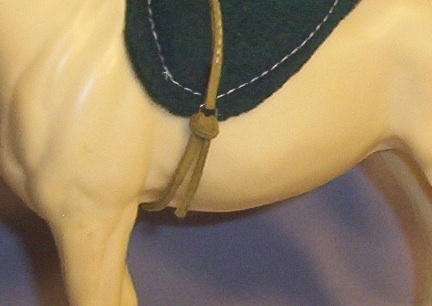 The bridle should fit loose enough to be able to come off and go on the horse's head, but tight enough to look good. My husband can do and does so many things and does them very well. We both enjoy the Renaissance "Stuff" and Medieval Jousting. 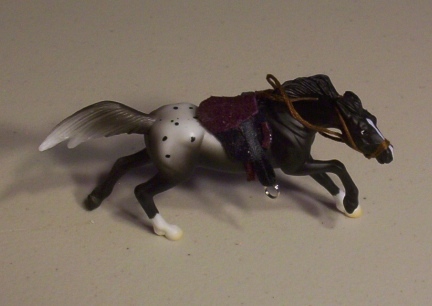 This was/is Deron's idea and craftsmanship for the Breyer's Horses. He is working with here a Traditional sized Horse, Prancer, that does not have a mane and or tail that stick up or out for this project. 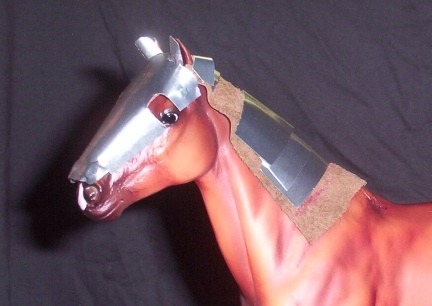 I was/am amazed at the detail that Deron is working into this Suit Of Armor or Armour for this little horse. Deron first talked about using a washed out soda can for this project. A very good idea and could be very cute with the Coke (we only drink Coke) side out. But I think the Flashing was a better idea and will look more realistic when finished. I had to look away when he was doing some of the work ungloved...but so far, not a scratch to his hand...I recommend wearing leather gloves, he called it nagging. (maybe because I repeated the glove idea 8, or 10 times...) But my husband is like a Knight in that if he were cut to the bone he would say "Ah, but it is only a scratch." Deron first "researched" photos of the old Horse Armor, as you can see from the photo he had photos pulled up on the computer screen as he worked. 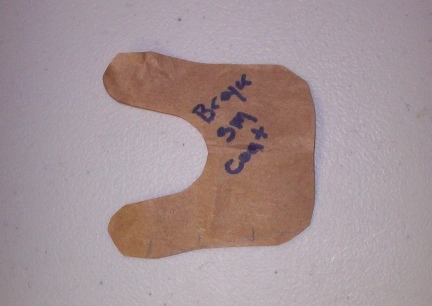 He made his pattern from thin cardboard and we had the horses on the project table with us (I was working on small, SM, so tiny, saddles) so that we could check sizing and such as we worked. 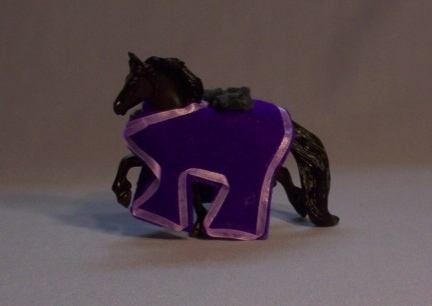 My husband works more then 50 hours per week at his "paying job", keeps things going for us out here on the prairie and once in a while will actually stop, or slow down and do something fun like this Armour for the Breyer Horse. You can see he cut a piece of thin leather, then carefully, very carefully cut and placed neck pieces for the Armour. And one of the details I really love, are the ear covers. Photos will be posted as he works on this project. 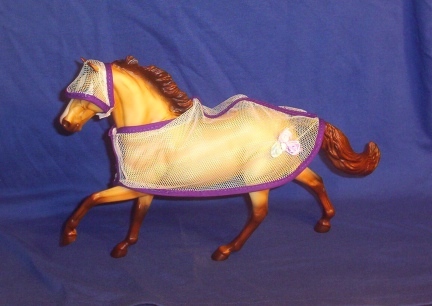 We are hoping one day to have these Breyer Horse Armour sets for sale in our on line store. 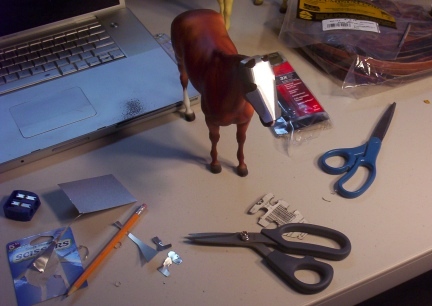 As you can see from the photos making that itty bitty, tiny in my eyes view, Stable Mate Size Breyer Horse patterns and items, is just not an easy task. I have seen some amazing items folks have made for these sized horse and one thing is for sure...I am not that talented and don't have the tools or motor skills to make them. 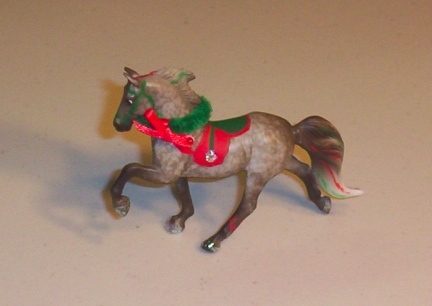 Remember that the Stable Mates are approx 3" tall and approx 4" long. This is my attempt at a Medieval Horse Barb with Saddle. It is not finished yet, but as you see, I might not have gotten the pattern just right. I used a toothpick to apply the glue and when I put the ribbon on the bard I let the glue "set" for each section. 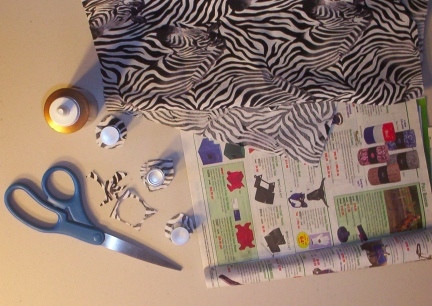 If you do not let the glue set, but try to glue the entire piece of ribbon on the fabric, the ribbon will come off and or move around, the wet glue will let the ribbon slide. I did not learn patience as a child, or young adult, and still have much trouble with patience. I hear it is a virtue. 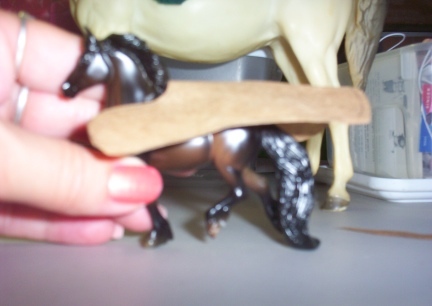 So making these Breyer Horse items is a learning experience for me in sooooo many ways. 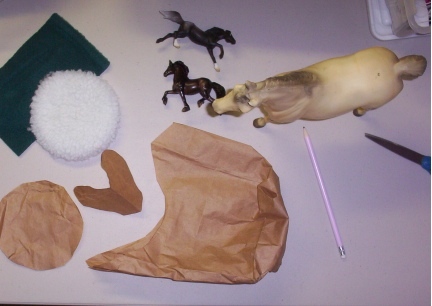 These photos are of my attempt at my own pattern for a saddle for the Breyer Horses in Stablemate size. For the bridle you need something very thin and yet not too fragile. 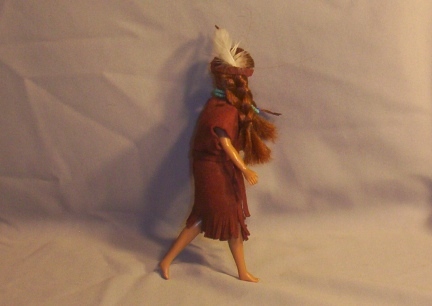 The one on the Appaloosa here is not removable, but tied on to the face. It will come off easily, but it will not stay together when coming off. 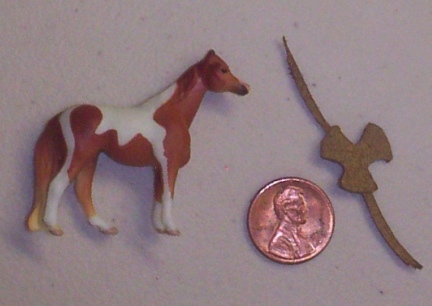 As if the Stablemate size were not small enough to make items for and show, there are also the itty bitty Mini Whinnies. 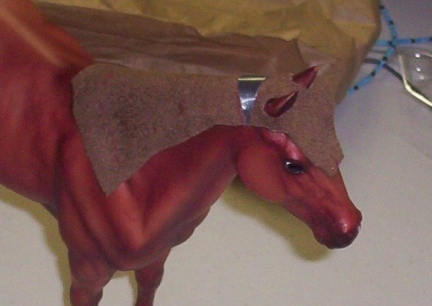 I made this saddle with a scrap of leather, I free cut it using the horse's body as a guide. The "girth" is just a very thin piece of the same leather and I need to get something sticky (perhaps sticky wax) for closing this saddle without too much bulge. The photo shows the straps left long until I get something to hold them with and know where to cute them. 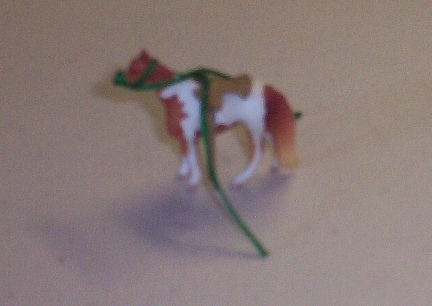 I also took a photo of the saddle on the horse's back, but it was blurry, so I will have to retake. 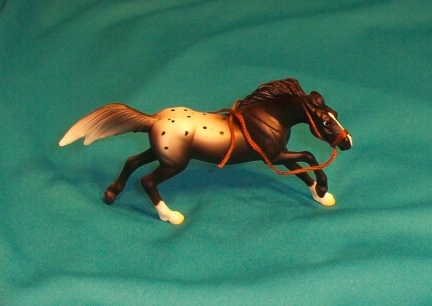 I am also planning to make a travois for this itty bitty horse....we will see how that goes. As you can see I do not have the talent it takes to really paint on these horses, but I had a ton of fun trying this. 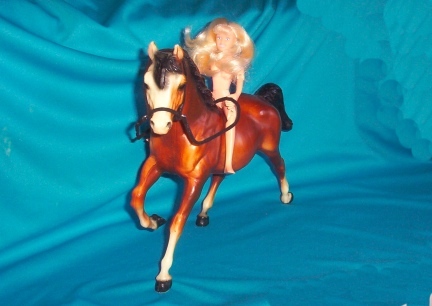 The one in the photo is a Breyer's Horse Stablemate. I had a lot of fun with this and even used glitter glue on the hooves. I used a very small paint brush, took my time and waited for paint to dry between colors and areas of painting. The wreath is a pipe cleaner with a tiny bow I tied to it where the ends met. That is suppose to be Mistletoe on the hip of the model and a tiny Poinsettia on it's back leg. 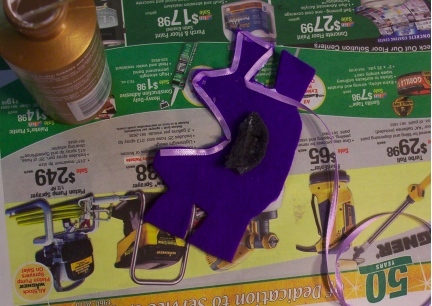 I had planned to put an itty bitty eye hook in the balance point (where the saddle is painted on) to make a Christmas Ornament. This would be a WONDERFUL and inexpensive evening project for 4H kids and the finished project could be wrapped and exchanged in a game of some sort at the meeting before Christmas. 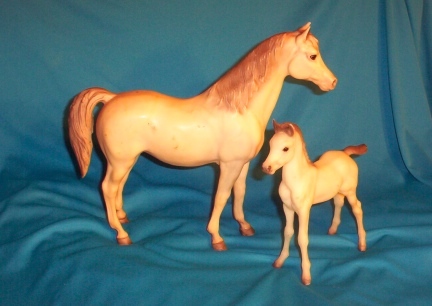 Stablemate sized Breyer Horses are not real expensive and pretty tough for horse models. I like to use a model that has all four legs down, as in standing on all four, and a tail that is also flat to the body of the model. That way you have less to catch on items that might break a piece off your keychain. You can make your keychain in many different ways. 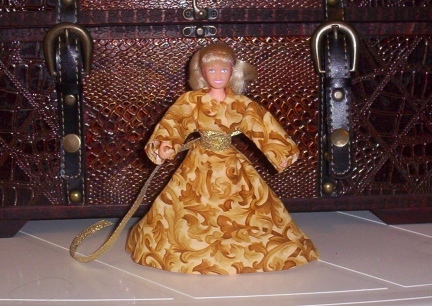 I am going to use this keychain for a Stablemate that I take to town with me so that when I go into the craft stores or thrift shops I can size up items I might want to use for a photo shoot with this size model. 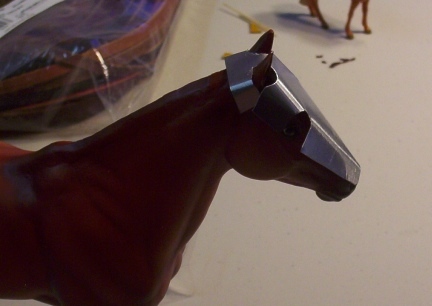 So we are going to drill the balance point on the Horse's back and add an eye-bolt. Use a drill bit that is the right size for the wire or screw you will be inserting into it. If you are going to stick a wire all the way through your horse's back then use a very small drill bit to drill the whole. Keychain types matter. You can use any type you want. But be warned they are not all equal. I like to use either the split rings or the ring type that has the screw opening. They are stronger and will last longer then other types. If you are planning on carrying keys on this ring, the more keys you carry the more heavy duty your keychain will need to be. 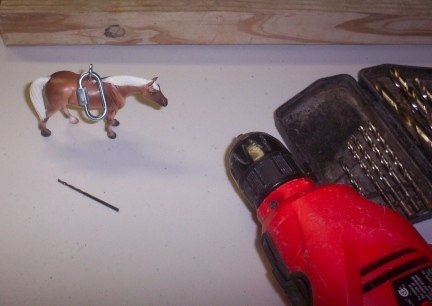 BE WARNED: Your model horse being used for this craft will get scratched and nicked by keys. Ok, Ok. So this photo is not of a Model Horse on a wreath. 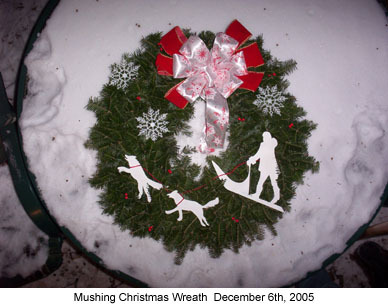 This wreath was made for my husband and I by a friend of mine I know from a Horse Club in WI. I love this wreath and show it off at any opportunity. 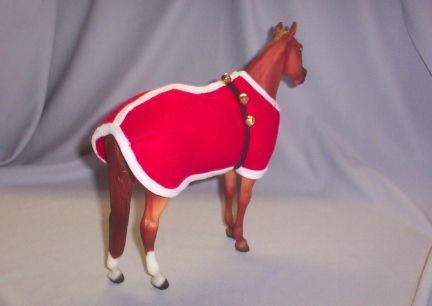 AND, it does give you the idea of what I am going to say about using model horses for wreaths. 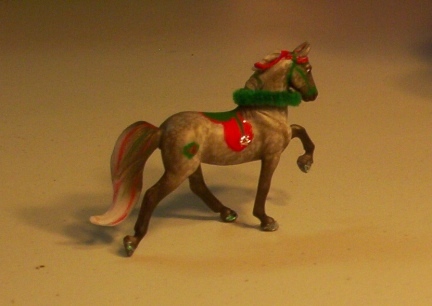 When you make a Holiday Wreath with items like model horses, you glue or wire the item to the wreath. 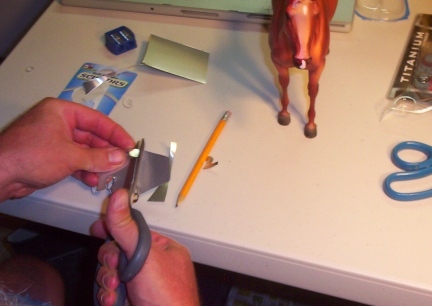 This will do a bit of damage to the model horse, so do not use your favorite show horse for this craft. 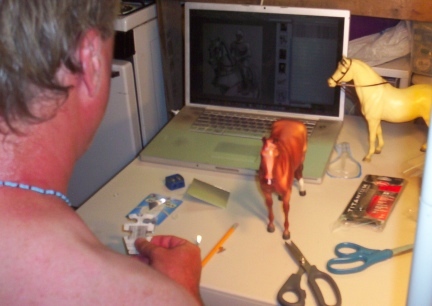 It is best to use smaller model horses for this craft. You can use fancy cut wood or just a slab of rough cut lumber or anything in between. What you are trying to achieve is a three dimensional photo that sits on a table rather then hangs on the wall. You start with an idea. Work it out in your head. Then head to the craft and or hobby store. It might be a good idea to take the horse you will be using with you so you can see if the items you are buying are not only the right size, but also work out as far as color on your horse. Some items you might want in your Stand Scene are train track moss/grass. 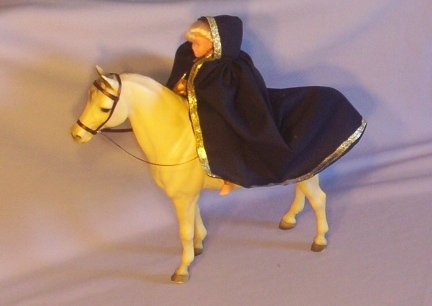 Evergreen trees, a doll rider, little rocks, a fence backing, the items are endless. Have an idea of what the scene will look like then take extra money because I can almost bet your imagination and artistic juices are going to flow. 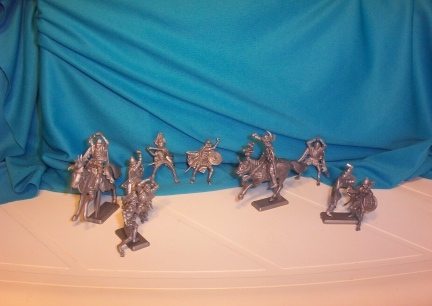 Once you have the items you are planning to use in your Stand Scene set it all up on the stand and leave it overnight. Wait at least 6 hours before gluing. It might be that you will want to move something and better before the glue then after. Are you going to stain or paint your wooden stand? Once you have decided your Stand Scene is just like you were hoping, start gluing your ground items first...grass, rocks, twigs to look like logs, all those sorts of things. Then walk away for a bit, not only to let that dry, but to make sure it is what you want. Next comes your small items in the scene. Add items by size, small to large, it is easier to work with that way. 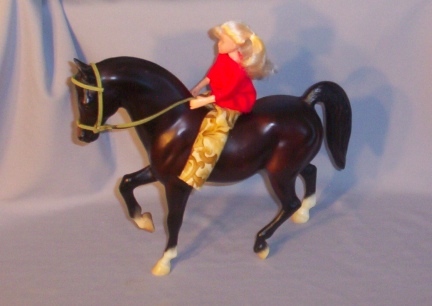 Dressing your "horse people", dolls, to work within your Breyer Show Photo Scenes can be very important. You would not want a Show Jumper outfit on your Indian Village set up. Where does one get these clothes? Well that can be a question of the hour. 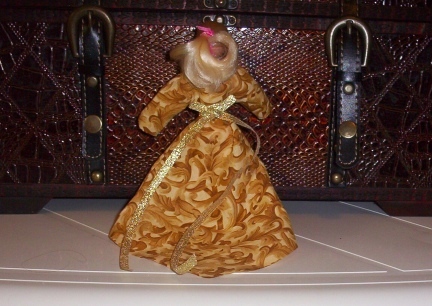 I am working on some patterns for the 6", 7" and 8" dolls to wear for the photo shoots. These are early photos of ideas. Fabrics are as important as the clothing. You can not use the same denim for jeans for these tiny dolls as humans would wear, it would be too thick between their tiny legs. (I am working on jeans, but used the medieval print I had out to try my pattern; the pants you see in the photo with the red shirt). 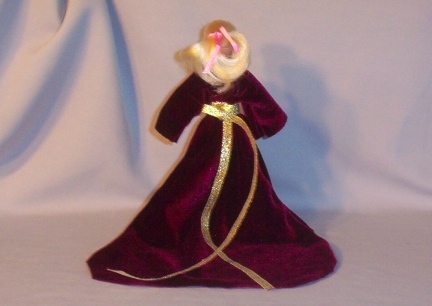 You also need very small print for the dolls clothing. 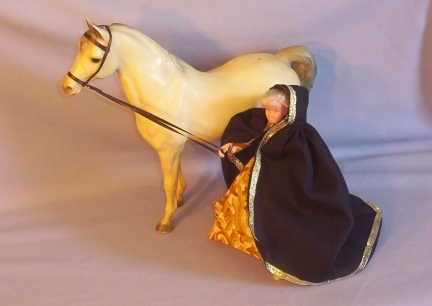 Your clothing needs to fit so that, if you are planning for the doll to ride, the clothes will work out on horseback. Pants might need to be a bit longer, and not too tight. Dresses need to be either split or have extra length. 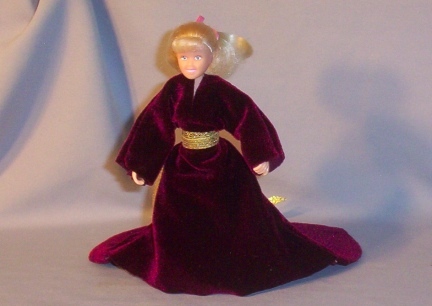 Sometimes, depending on the photo, doll clothes aren't so important. Like this photo attempt of Lady Godiva, or what I call Lady Godollva. 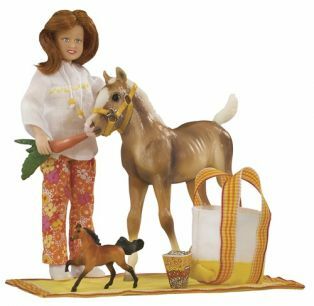 There are websites and elists set up for and all about showing your Breyer's Horses both at live shows and on line for photo contests. Most of these shows are set up to be just as a live horse show is set up. Many use the same rules. We even host a Fun Model Horse Show here at this site. Ours is a bit different. Ours is more just for fun and showing off your cleverness then fancy expensive tack and such. I hope you will take a look at that page, see menu, and join in the fun.
. Rules are posted at the top of the page and are easy to follow. If you are interested in the more serious MH shows, Please go to one of those sites and read all about them. It sounds like great fun. My dear friend and Model Horse Mentor in TN, the one that is so clever with her Breyer's Horses, that she can make anything from what I call "do overs" on the models to making all the detailed tack, used to show both live and on line.....she is the one who talked me into a monthly photo contest here at this site. Here's my best novice advice. Take photos with the right background. If you are photographing just a horse with no background, put up a sheet or towel or something to block the view of the rest of your home or dirty laundry. My husband has taught me to always look behind the subject of the photo before shooting the photo (for the most part I do). Set your scene up to the best of your ability. Make it look realistic. I have to say, I have seen a few I had to really look at and thought "Man, I thought that was live." That is what you are looking for with your photos, especially photos for photo contests. My husband did a bit of math for me and came up with these numbers. 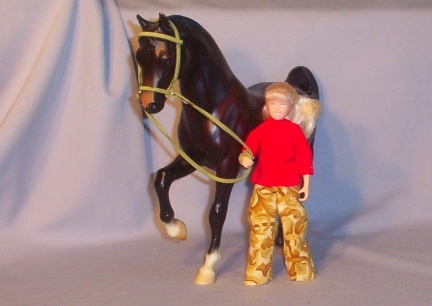 For a correct sized doll for your horses, here is the size you need based on a 6' tall human with a live horse. Check out the chart above for more helpful measurements. 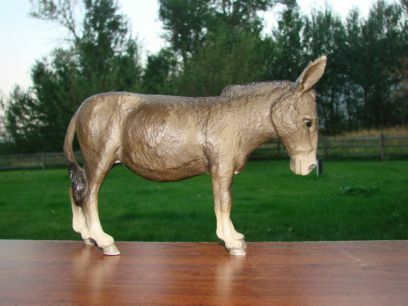 After wishing and wanting and hoping to own a Breyer's Donkey, to join the rest of my "donkey stuff" collection, we did win a bid on ebay for the one you see pictured here. I am thrilled. I am sure, that I will own more of Breyer Donkeys in the future. Soon we will even have crafts and patterns for the donkeys as we do for the horses. Deron and I own a donkey and just adore her! She is such a wonderful animal we can not figure out why more people do not own them. We ride Abby, we drive Abby and she does a few tricks. She learn easy and is a riot to have around our ranch. My good friend and Breyer Mentor, Nichole, lives in TN. We met in N WI when we both lived there. We became closer through all animals, but especially when we started meeting with a group I started to get together with our rabbits and or fancy rats for agility training. Yes, just like dog agility only with rabbits and or pet rats and very small agility equipment. We had a ball. She and I share many types of animals in common and among them are equine, both horses and donkeys. 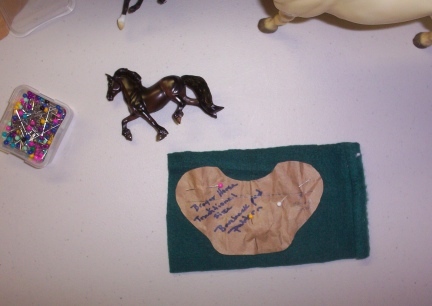 The first time I went to her home she and her sisters brought out some of their Breyer's Horses and crafts for the model horses. Each of the three are very talented ladies, not just with arts and crafts but also animal care and training. I think my mouth was open the entire time I was looking at the model horses and their crafts for the them. For one thing I never heard of such a thing a CUTTING UP AN EXPENSIVE model horse to reshape it, add hair, move legs, paint on it, ect. 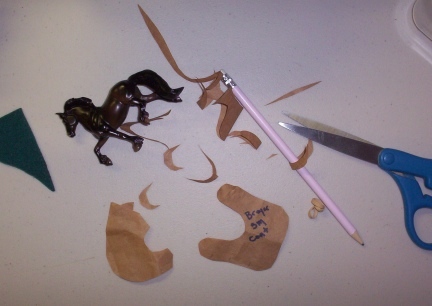 For another, their talent in making items for the Breyer's Horses, well, I was just mesmerized! 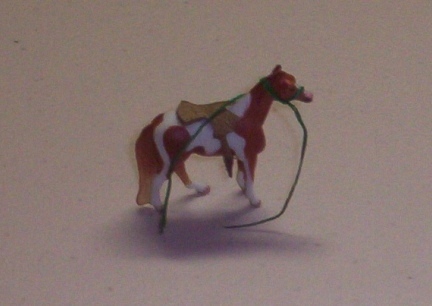 Nichole crafted this horse you see in the photo to look like my own Paint Horse. I believe she started with wire, clay of some sort, a prayer and a bit of magic. She is better at crafting then I am at taking photos. This horse is very beautiful and looks very correct, this photo sure does not do it justice. While I will never have that kind of talent I will not say I won't try my hand at some point in, well, maybe, maybe, moving a horses leg or something small like that. Perhaps even painting on a StableMate, we shall see. (small things in Nichole and her sister's eyes, huge thing to do in mine). I do want to publicly thank her for nudging me on with this hobby as it is great fun. Good for your mind and spirit and can lift your mood when a person is down. Keeping with the thyme of this website, it also keeps your hands from snacking! I love Schleich animals. I have many, if not all, of their goats. I have most if not all of their donkeys. 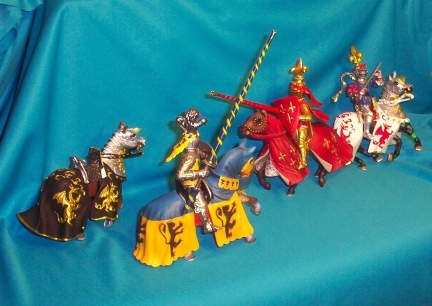 I have several of their zebras and llama and other animals and I am working on a set of Medieval Jousting Set. Deron and I really enjoy the excitement of Jousting Horses. The flashy and flashing equipment, the skills of the horsemen that not only do the Jousting (yes, there are still Jousters today) but also the training that went into those horses. Deron and I have high hopes of doing some Ring Jousting and other old Horse Back games one day soon. Ring Jousting is set up like Jousting, but only one rider rides and uses their Jousting Pole or really in this case Spear, to retrieve a ring off a pole. The rings, in the serious competition is the size of a USA coin the quarter or fifty cent piece.